The official website of Joshi Kausei TV anime has just revealed the anime cast, staff and premiere date details. 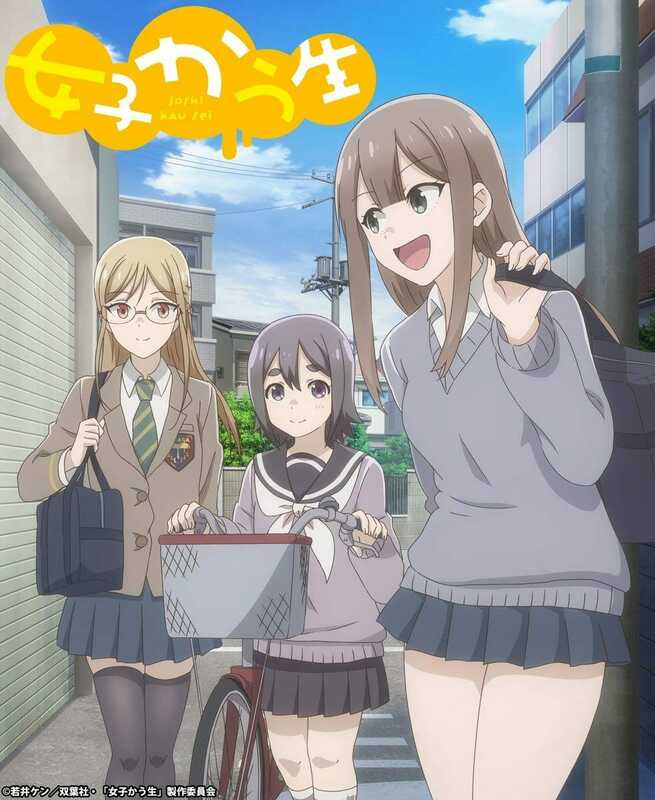 The anime is an adaptation of Ken Wakai’s manga series with the same name Joshi Kausei. Rika Tachibana as Momoko Futo – a lively, energetic, but airheaded high school girl. Tomomi Mineuchi as Shibumi Shibusawa – a cool, collected, and bespectacled high schooler who has been friends with Momoko since grade school. Yurika Kubo as Mayumi Koi – a cute high school girl with thick eyebrows and soft cheeks. She just transferred to the school, so her uniform is different. You can check out the official website for more details. The anime is planned to air in April, spring of 2019. Although no specific date along with episode count has been revealed.